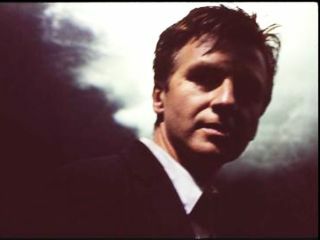 Crowded House's Neil Finn is to record an album of new material inspired by his Seven Worlds Collide live project of 2001. "Seven years ago I invited a few friends and fellow musicians to do a special series of concerts in New Zealand under the banner Seven Worlds Collide. The concerts were an amazing experience for all of us and we are delighted to have found an opportunity to gather again, this time to expand the concept and the line-up too," remembers Finn. "What will make these sessions particularly meaningful is that all the proceeds of this recording will go to support the continuing great work of Oxfam International." Which is nice. Collaborators on the album of new material include (from the original live shows) Johnny Marr and Radiohead's Ed O'Brien and Phil Selway. Other artists joining the project include Wilco's Jeff Tweedy, KT Tunstall and New Zealand singer-songwriter Bic Runga. Once again, there will be more live shows in New Zealand, in early 2009. The album will be recorded over the next few months in Auckland's Roundhead Studios and is due for release in 2009. All good, though MusicRadar is increasingly astonished by the ubiquity of guitarist-for-hire Johnny Marr. He's already a "full-time" (he says) member of Modest Mouse and The Cribs, plays on Girls Aloud's new album Out Of Control, will be on John Frusciante's new solo album, and is also now lecturing as a Visiting Professor at Salford University.